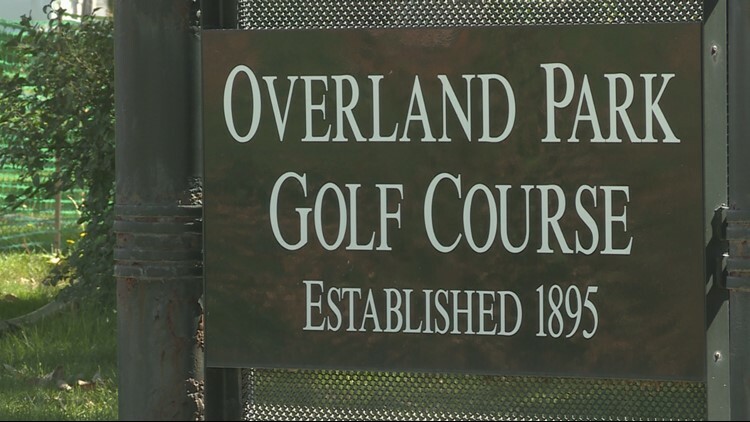 Music festival crowds will test the tolerance of neighbors who say they're used to quiet isolation around Denver's historic Overland Park Golf Course. 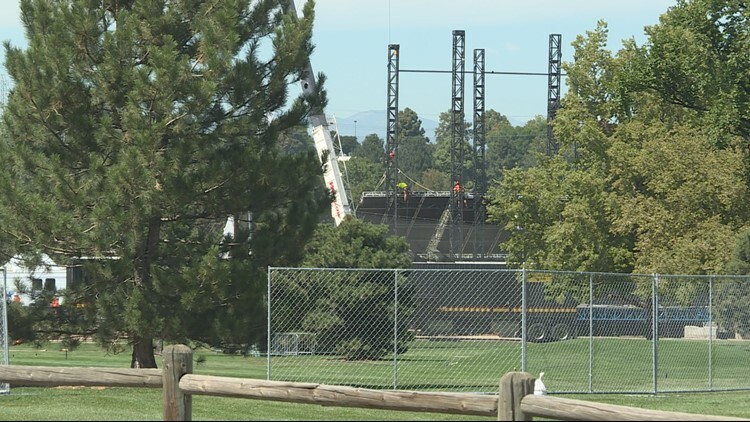 KUSA — Promoted as having something for everyone to enjoy, Denver's newest three-day music festival has neighbors a little on edge as crews set up for the crowds coming to Overland Park this weekend. Grandoozy will have more than 60 musical acts performing across four stages. Headliners include Kendrick Lamar, Florence + The Machine and Stevie Wonder. Lifelong Overland Park resident and musician Lucas Sanchez says when he found out the festival would take place across the street from his house, his initial reaction was excitement. Then, he found out how many people organizers expected to come to the festival. "You know, everybody's a little on edge about having, they told us, 30 to 60 thousand people coming through," Sanchez said. "I'm like, 'man, I'm gonna need to build a fence.'" Beyond the music, Grandoozy will have Colorado-themed activities, food trucks, cocktails and beer from 18 craft breweries. Crews have already begun to build the stages, close roads and erect fencing around Overland Park Golf Course, which was established in 1895. Sanchez says neighbors are concerned about the kind of damage Grandoozy could leave behind. "The golf course is a big habitat for a lot of different kinds of wildlife that are gonna to be displaced," Sanchez said. "It's got a lot of old trees and a lot of old vegetation." Grandoozy organizers will attempt to stop visitors from parking in the surrounding neighborhoods. They've hired a company to help manage traffic by placing workers at every entrance to those neighborhoods during the festival. "We'll have every entrance, every road, every alleyway - we'll have someone there or it will be closed," Squared Away Parking employee Nathan Henderson said. "All the residents were given residential parking passes... our job is mostly vetting cars." Parking inside the event will be entirely limited to vehicles associated with the artists and festival workers. "We're encouraging everyone to use Uber and Lyft or take taxis," Henderson said. "And then, we do have some drop-off zones for friends and family to drop-off nearby, and there will be shuttles from those zones into the festival." As crews setup for the shows, the neighborhood is already seeing more traffic, which is creating more anxiety. "I don't mind trucks coming through here - I do mind trucks coming through here at 40 miles an hour - with a 15-foot-high truck," Sanchez said. "I'd like to see more music come to this area. But, I just wanna see it done right and respectfully."